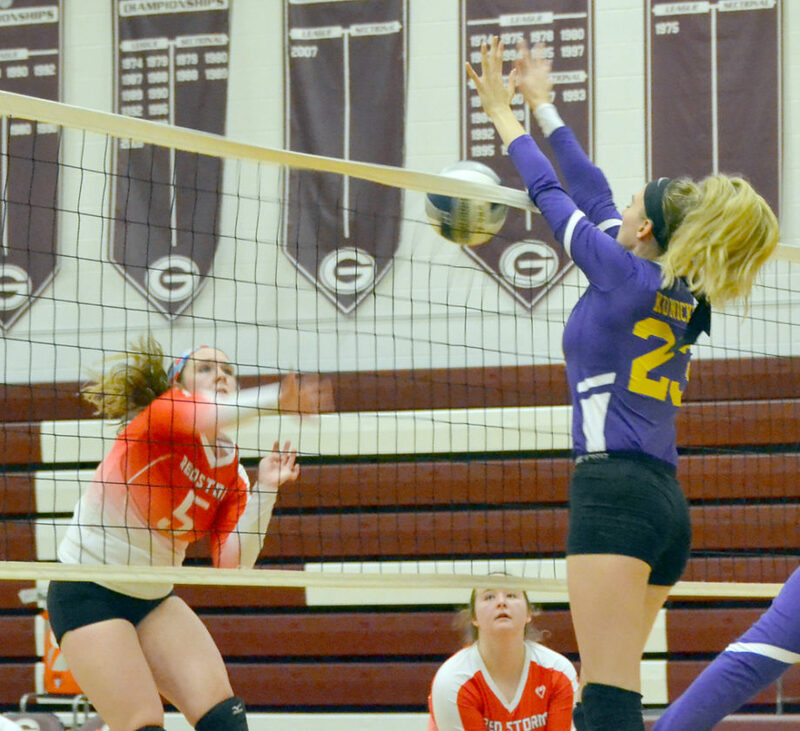 GLOVERSVILLE — For the second straight season, the Saranac Lake volleyball team found itself facing Section II champion Voorheesville in Class C state regional play. Last year, the Red Storm lost 3-0 to the Blackbirds after winning their first sectional title. 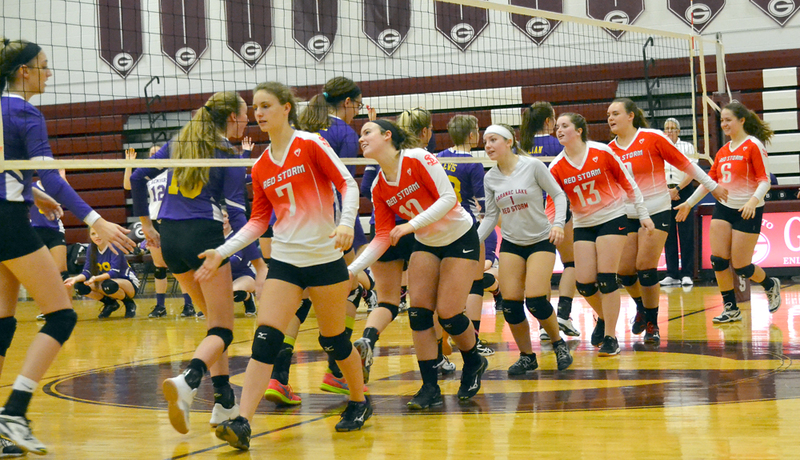 The outcome of the rematch was the same Tuesday, though Saranac Lake was able to win a set in its 3-1 loss at Gloversville High School. Voorheesville won the match by scores of 25-13, 18-25, 25-15 and 25-2. Marie Julian had 22 points, seven kills and four aces for the Blackbirds, while Katy Bablin recorded 13 assists, 12 points, nine digs, three kills and three aces. Amelia Rowland posted nine points and two aces for Voorheesville, and Victoria Konicki had 12 kills and seven blocks. Madie Gay had 15 digs for Saranac Lake, while teammates Sydney Andronica had 14 digs and Danielle Gonyea posted five service points. Meagan O’Brien notched six points, three assists and two aces for the Red Storm, Katie Gay had five points, three aces and three assists, and Marissa Gibbs finished with six kills and five digs. 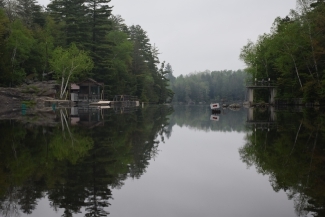 While Saranac Lake was making just its second regional appearance, the Blackbirds have made seven trips to regionals since 2007. Voorheesville got out of the gates quickly, scoring the first four points of the match and jumping out to an 11-1 lead. Back-to-back kills from Konicki started the flurry, which included a three-point service run from Bablin and six-point run from Julian. After its sluggish start, the Red Storm got no closer than nine points the rest of the way as Voorheesville won the first set, 25-13. The second set saw the teams swap the lead several times in the early going before back-to-back points by Konicki gave Voorheesville a 7-5 lead. Saranac Lake began to turn the tide in its favor, benefiting from five service errors in the set by the Blackbirds. 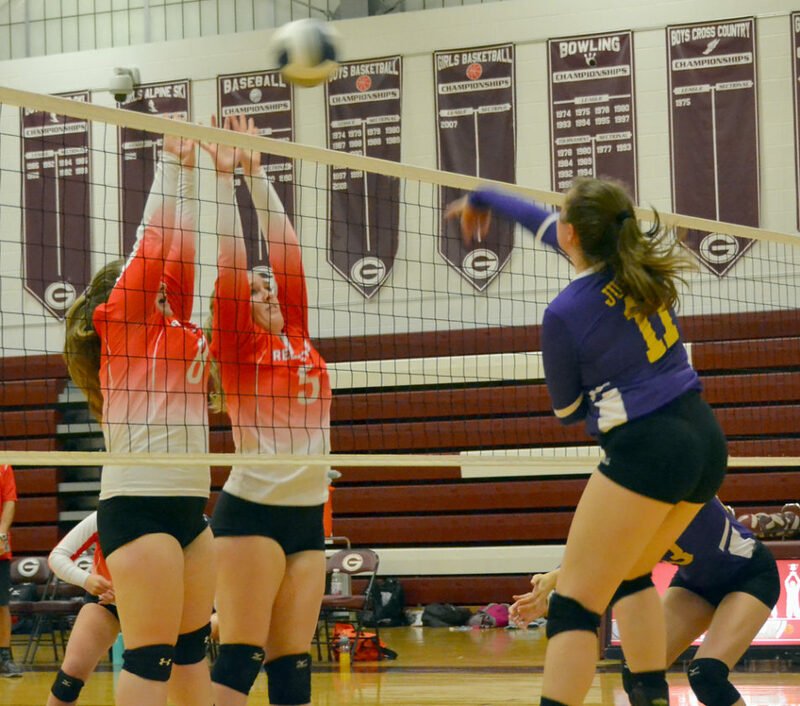 “In the second game, we missed a lot of serves and they did a good job of capitalizing on our mistakes,” Voorheesville coach Ashley Turski said. A three-point run from O’Brien gave the Red Storm a 9-7 lead before Voorheesville answered to tie the match at 10-10. The set remained tight until Saranac Lake gained some breathing room behind a three-point run from Gonyea that made it 19-14. The Red Storm continued to pull away, extending their lead to 23-15 after three straight points on the serve of O’Brien. After two straight points from the Blackbirds made it 23-17, Gibbs delivered a kill to make it 24-17. Saranac Lake won the set, 25-18, to even the match at 1-1. The Red Storm carried their momentum into the third set, jumping out to an early 6-4 lead. Voorheesville took its first lead of the set behind back-to-back aces from Lindsay Blair to make it 9-7. After a service error from Blair made it 9-8, the Blackbirds started to pull away with three straight points as they took a 12-8 lead. Saranac Lake got no closer than three points over the remainder of the set as Voorheesville grabbed a 2-1 match lead with a 25-15 set win. Things got no better in the final set as the Blackbirds closed out the match with a dominating 25-2 victory. The set began with a four-point surge from Amelia Rowland and included a six-point run from Bablin that made it 11-1. After a Bablin serve found the net for what would be the Red Storm’s final point, Voorheesville got the serve right back after a kill from Konicki that make it 12-2. From there, the set ended on a remarkable 13-point run from Julian that included three aces as the Blackbirds won the final set, 25-2. Voorheesville (13-5) will face Section X champion Canton on Saturday in Class C regional final at Massena High School at 3 p.m. The winner advances to the state semifinals at the Glens Falls Civic Center on Nov. 17 and 18. 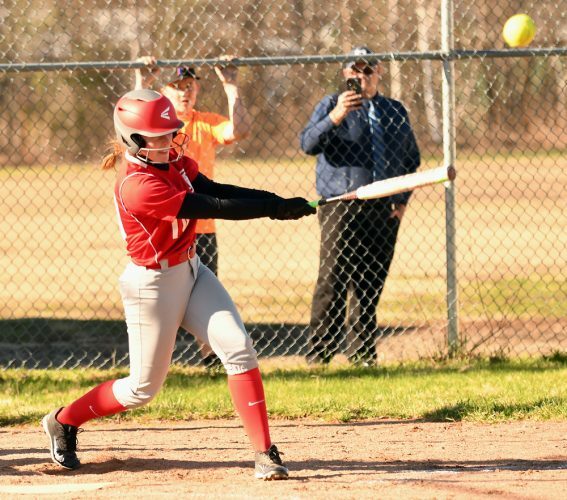 Saranac Lake finished its season with a 13-6 overall record.